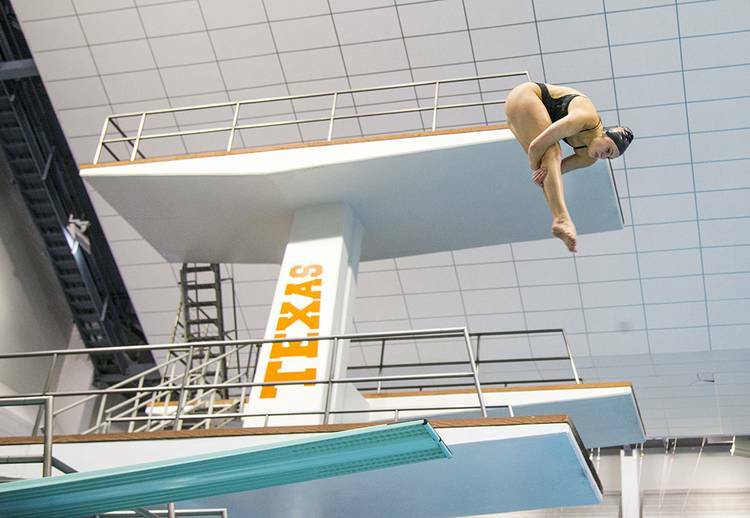 The Texas women’s swimming and diving team sits in ninth place after three days of the NCAA Championships at the Jamail Texas Swimming Center. Texas had a rough day Friday, the third day of the event, qualifying for just one of the evening A finals. Alison Gibson qualified fourth in 3-meter diving and ended up tying for sixth place in the final with 368.75 points. Meghan O’Brien picked up a win in the consolation final as she scored 368.70 points. Claire Adams also competed in a consolation final, finishing second in the 100-yard backstroke with a time of 51.43 seconds. Julia Cook finished seventh at 51.98. The 200 medley relay team qualified for the consolation final in 1:37.04 and ended up finishing in fourth. Their time of 1:36.78 in the consolation final is the ninth-best time in UT history. California leads overall with 328 points while Stanford is in second with 299.5. Michigan rounds out the top 3 with 233 points. 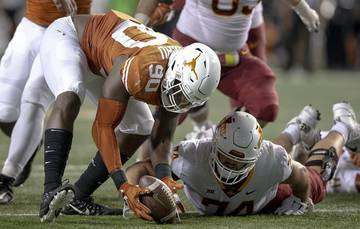 Texas has 127.5 points.